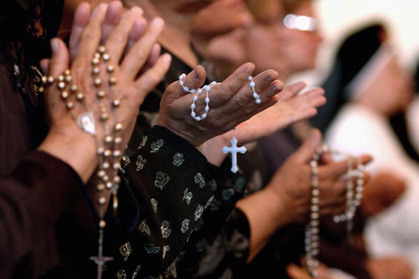 Catholics are now the single biggest faith group in America at 22 per cent, according to the latest Pew research poll. The news will come as a positive boost to the American bishops who have endured massive negative publicity on child abuse cases these past few years. The influx of Hispanics has certainly helped the Catholic numbers but the church seems in remarkable shape given its problems. The emerging Catholic power is shown most clearly in the make-up of the Supreme Court where six of the nine justices share that faith. Compared to Ireland where the drop-off in Catholicidentification has been catastrophic, the American church has been far more solid. But it surely points to the importance of issues such as immigration reform for theCatholic church to help increase its members. It also shows that the old Irish dominance of the church in the U.S. will soon be a thing of the past. Cardinal Timothy Dolan in New York will likely be the last Irish prelate and end an unbroken line going back well over a century as Hispanics come to dominate. The same poll showed that the various Protestant religions have dropped from 66 per cent of all religions forty years ago to under 40 percent. Surprisingly, the fall-off is across the board from liberal churches to born-again southern churches. It is an amazing drop-off especially given the media sense that the evangelicals are going from strength to strength especially in the political sphere. America in fact is becoming more Godless, with twenty per cent saying they have no organized religion. One in five are either atheist, agnostic or of no organized religion. I have to believe that much of that number is composed of people sick of the political interventions that religious groups continue to make. I have always had the sense that most Americans I know consider their religion a private matter, not one to pump up in the public square. Then again, perhaps the drift away is just an inevitable reaction to modern day life where community and church bonds have been weakened. Either way, the Pew poll makes for extraordinary reading.